A convenient one way ticket from Chubu Centrair International Airport to Takayama in Gifu Prefecture. 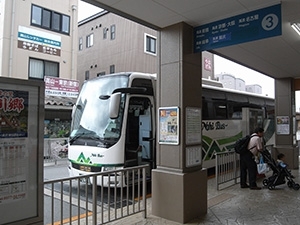 This budget-friendly ticket covers a train ride on the Meitetsu Line from Centrair, the gateway to the skies in the Chubu region in Japan, to the Gifu Railway Station and an express bus trip from the Meitetsu Gifu Bus Terminal up to the Takayama Nohi Bus Center. 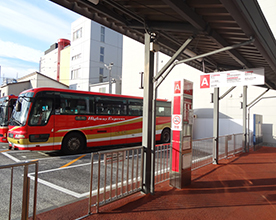 Changing from the train to the bus at the Meitetsu Gifu Railway Station is barrier-free and very easy, so that you can’t miss it. With the ticket valid for two days, you have an option to stay overnight in the City of Gifu. Hida Takayama is an ever-popular sightseeing area with countless eye-catching attractions, including a well-preserved old-mountain-town atmosphere, Hida-beef cuisine and traditional handicrafts only made possible by the Hida craftsmen who respect and preserve the traditional arts. 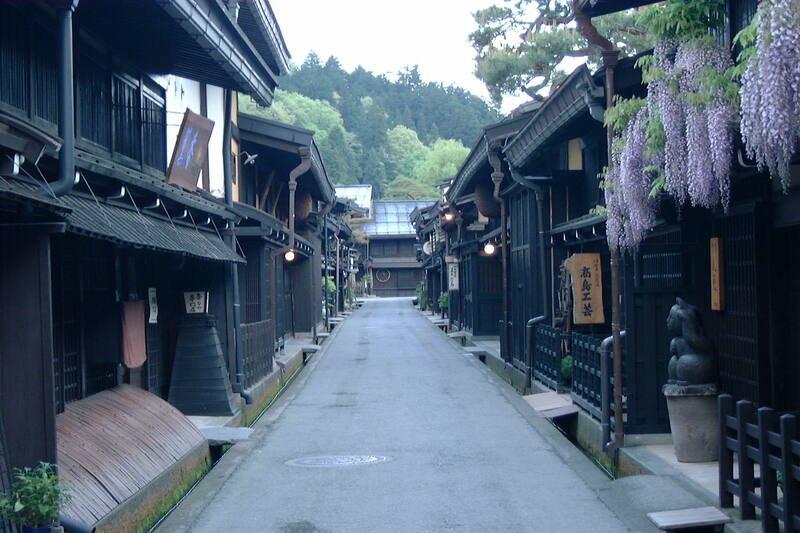 Get this convenient ticket and come enjoy Takayama in the Hida region. ＊All transactions are final and not refundable. ＊To board the u-sky trains and Limited Expess trains, a u ticket(cost is 360 yen) is needed in addition to train ticket. The ticket can be booked online in advance but you need to exchange the ticket at the counter before you use. Please be sure to check your arrival time before your make a reservation. *If you arrive at the airport early in the morning or at night after 7:00 pm, you are not able to exchange the ticket on the same day. The “Takayama – Centrair ticket” makes it ever easier to reach Hida Takayama, one of the top ranking sightseeing spots in Japan, in Gifu Prefecture. 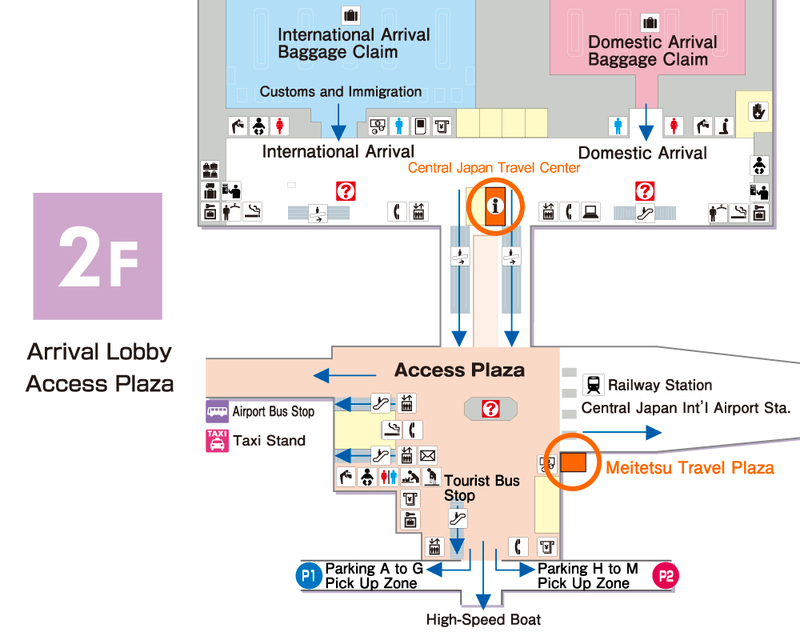 This ticket can be perchased by Nohibus website or at two outlets within Chubu Centrair International Airport. There, feel free to ask for information and travel tips that help make your stay more enjoyable. Do come by and see us, as you are most welcome. 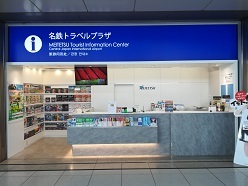 ※Please exchenge the voucher at Meitetsu Tourist Information Center if you made a reservation by internet. 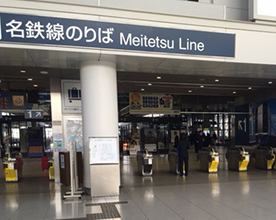 After purchasing the ticket, please show your ticket to the train staff at the ticket gate and get on the Meitetsu train. It takes 56 minutes by train from airport. 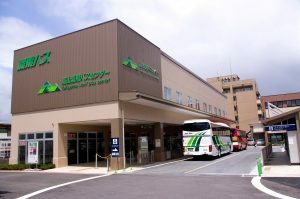 After arriving at Meitetsu Gifu Station,please go down stairs from “Central ticket gates” and come to the Gifu Bus Terminal. It takes about 2 minutes to walk from the station. If you have finished booking the seat of the express bus, please come directly to Bus Gate “A”. Please come to book your seat at the Gifu Bus ticket counter. 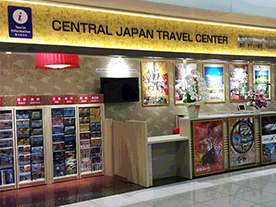 The "Takayama～Centrair ticket" is very convenient to reach Chubu Central International Airport after the sightseeing in Takayama. The ticket can be purchased by Internet or at Nohi Bus Terminal ticket counter. 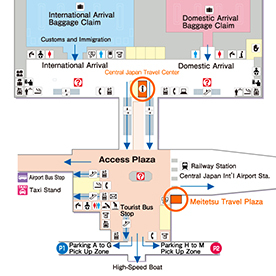 ※Please exchange the voucher at Nohi Bus Information desk if you made a reservation by internet. If you have finished booking the seat of the express bus, please come directly to Bus Gate “3”. Please come to book your seat at the Takayama Nohibus Center ticket counter. 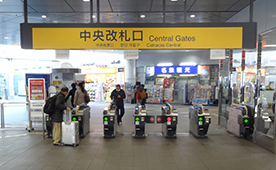 After arriving at Meitetsu Gifu(Loft-mae),please go up stairs from “Meitetsu Gifu(Loft-mae)” and come to the “Central ticket gates”. It takes about 2 minutes to walk from the station. please show your ticket to the train staff at the ticket gate and get on the Meitetsu train. It takes 56 minutes by train from Meitetsu Gifu Station. 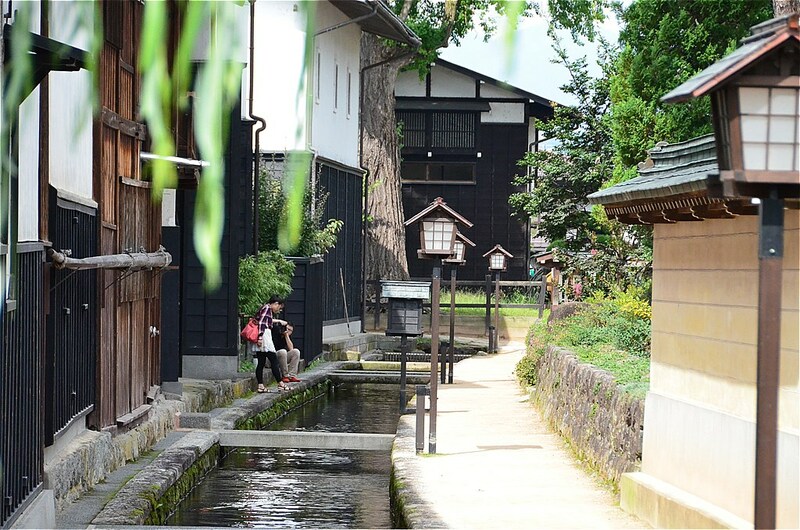 Situated in the northern part of Gifu Prefecture, Hida Takayama also called “Small Kyoto in Hida”, is a very popular sightseeing spot where domestic as well as overseas tourists come visiting. The somewhat nostalgic, old-town atmosphere that you might be longing for attracts every tourist. The preserved, old-town streets are popular areas busy with tourists where some traditional buildings, souvenir shops, coffee shops others are lined up. Enjoy riding the two ropeway lines that bring you up on the top of the world above the clouds. 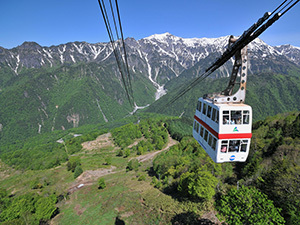 The two connected ropeways run from the Shinhodaka Onsen Station situated in the most remote area in the Oku Hida Onsen-Kyo (Oku Hida hot-spring village) to a point at an altitude of 2,156 m.
From the double-decker gondola lifts of the second ropeway—the only one in Japan—and the observation platform at the mountain-top station, you can happily appreciate the spectacular panorama of the Northern Alps Mountains such as Nishi Hodakatake, Yarigatake and Kasagatake. Registered in the UNESCO World Heritage List in 1995, Shirakawa-Go Gassho Shuraku (a group of houses with steep thatched roofs in the Village of Shirakwawa) represents the characteristic Gassho style housings that you can see only in a region of heavy snows. The very beautiful scenery will surely remind you of the original, natural beauties of Japan. The sight in harmony with Nature attracts many tourists throughout the four seasons. Hida Furukawa The white walled storehouses and the large colorful carps swimming in the Setogawa River are major sightseeing spots which attract a lot of tourists from home and abroad. The town is popularly known as movie location of Japanese animated film 'Kimi no Na wa'. ※It is not a package tour. Please enjoy your trip freely. ※Meals and accommodations are not included.